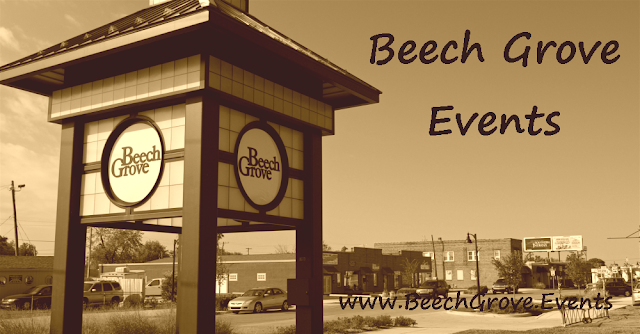 Beech Grove, Indiana (July 21, 2018) — About a year ago, the counselors in the Beech Grove school district made a discovery: They were spending less than half of their time on counseling. Instead of meeting with students one-on-one or in small groups, they were spending most of their days on routine tasks, such as overseeing lunch, proctoring exams, and filling in for secretaries. When they realized how much time those other tasks were taking away from counseling work, it was “an eye-opener for everyone,” said Paige Anderson, the district college and career coordinator. What Beech Grove staff members learned during their planning process is already changing their approach to counseling, said Trudi Wolfe, a counselor at Central Elementary School, who was instrumental in applying for the Lilly grants. Now, administrators are taking on more tasks like proctoring tests. And one intermediate school hired a new counselor. Last month, the endowment announced its second round of implementation grants, which awarded about $12.2 million to 39 schools and districts. Beech Grove will receive $259,727 to redesign its counseling program to focus on the social and emotional needs of students, with the largest chunk of that money going to staff training. The aim is to develop a strategy for handling the trauma that students face at home, said Wolfe. Over the past 10 years, the number of students in the district who are poor enough to get subsidized meals has risen by about 25 percentage points to 72 percent of students. Those growing challenges mean that it is essential for counselors to have a plan for helping students instead of just meeting the needs of each day, Wolfe said. Counseling is an investment that can have long-term benefits. After Colorado began an initiative to hire more school counselors, participating schools had higher graduation rates, increased enrollment in career-and-technical programs, and more students taking college-level courses. A 2016 report found that by keeping students from dropping out, the Colorado program saved taxpayers more than $319 million. But in Indiana schools, counselors often have large caseloads. In 2014-2015, Indiana had an average of 543 students per counselor, above the national average and significantly higher than the American School Counselor Association recommendation of no more than 250 students per counselor. Hiring more counselors alone is not enough to create stronger school counseling programs, said Tim Poynton, an associate professor at the University of Massachusetts Boston who studies counseling. They also have to spend their time on meaningful counseling work. When schools were applying for the Lilly Endowment grants, many reported that counselors were focused on urgent social and emotional challenges and struggled to help students plan for the future, according to the endowment. Those challenges can have ripple effects, making it harder for school staff to tackle long-term goals such as ensuring that students sign up and meet the requirements for the state’s scholarship program, 21st Century Scholars. If counseling is done well, most students will be prepared to go to college, even if they do not seem interested when they are in high school, Poynton said. But when counselors are dealing with urgent problems, they have significantly less time to devote to college preparation, he said. In a statement from the endowment, Vice President for Education Sara B. Cobb said the response to the Lilly grants shows increased awareness of the crucial need for counseling programs. “We are impressed with how school leaders have engaged a wide variety of community partners to assess the academic, college, career and social and emotional needs of their students, and respond to them,” Cobb said. The Lilly grants are going to a broad array of schools, and they are using the money in different ways. At Damar Charter Academy, which educates students with special needs, few students earn traditional diplomas or have good options for higher education. That’s why school staff plan to use the $100,000 counseling grant they received to build relationships with employers and create training programs for skills such as small engine repair, automotive maintenance, landscaping, and culinary arts, said Julie Gurulé, director of student services.